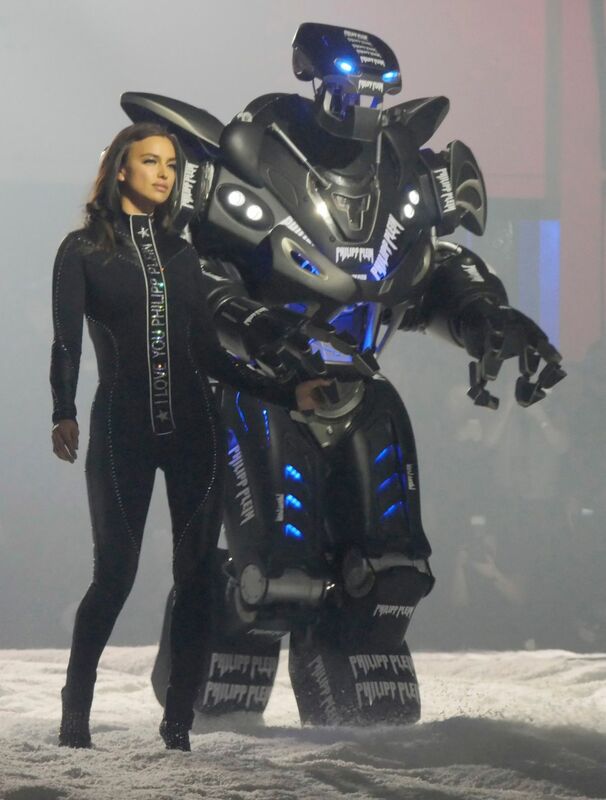 Russian supermodel Irina Shayk stirred up a storm as she walked down the runway for the 2018 Philipp Plein New York Fashion Week Show, a Winter Olympics meets futuristic robot inspired show. The 32 year old star, who last year gave birth to her first child with boyfriend Bradley Cooper, showed off her stunning figure clad in a skintight bodysuit. The 'it girl' walked out of a UFO along with other models at the show, and strutted down the catwalk, stealing the limelight and mystifying the audience. Clad in a black catsuit with leather detailing and crystal embellishments all over, Irina was a bombshell on the runway, and also wore crystal embellished heels. The blue-eyed model also put her pert derriere on show in the replica ski wear design, and walked hand in hand with a snow robot.